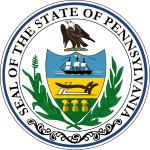 The Mayoral election of 1929 in Pittsburgh, Pennsylvania was held on Tuesday, November 5, 1929. Incumbent Republican mayor Charles H. Kline was re-elected over Thomas A. Dunn, who ran on the Democratic and Good Government party tickets. Until this election, no mayor of Pittsburgh had won consecutive terms since Henry A. Weaver in 1858, owing in part to a prior long-standing law prohibiting a mayor from succeeding himself. As of 2017, this is the last time a Republican was elected mayor of Pittsburgh. Prior to the Great Depression, Republicans dominated city politics. In this party's primary, Kline won a plurality of votes over Allegheny County Court of Common Pleas Judge Richard W. Martin and City Council President James F. Malone. Pittsburgh Chamber of Commerce president and future city police chief Dunn, although a registered Republican, entered the race as a Democrat and won that party's primary. Dunn also ran on a "Good Government" ticket, hoping to attract support from independents as well as disgruntled Republicans upset over corruption in the Kline government. Dunn failed to pull in enough independents to compensate for the anemic Democratic vote as Kline won easily, taking 28 of 30 wards. *Dunn received 29,838 votes on the Democratic ticket and 8,454 votes on the Good Government slate. ^ Townley, John B. (August 7, 1932). "Politics and Personages". The Pittsburgh Press. p. 8. ^ a b Weber, Michael P. (1988). Don't Call Me Boss: David L. Lawrence, Pittsburgh's Renaissance Mayor. University of Pittsburgh Press. pp. 32–33. ISBN 0-8229-3565-1. ^ "Official Count Fixes Kline's Majority at 44,103". Pittsburgh Sun-Telegraph. November 17, 1929. part 1, p. 3. This page was last edited on 15 February 2019, at 15:40 (UTC).